Quality is very important to Loosbühelalm in Großarl! We have been awarded the AMA-Gastro Seal, on top of being named a “GenussHütte” in Salzburg and being a member of Salzburger Alpine Summers. We look forward to welcoming you and serving you delicious natural products. For our meals, we use almost exclusively our own farm products such as milk and meat. During the production process on the farm, we pay particular attention to the quality of raw materials, hygiene during production while also aiming for optimal ripeness and perfect storage processes. 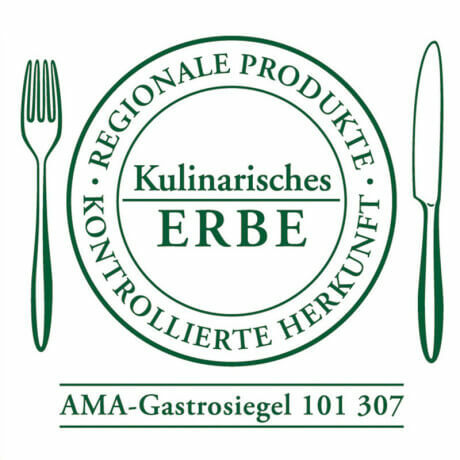 The AMA Gastrosiegel stands for the use of regional products and high Austrian quality. We carefully check the products that we do not produce ourselves to make sure we know exactly where they are from. This information we also happily share with our guests on the menu. 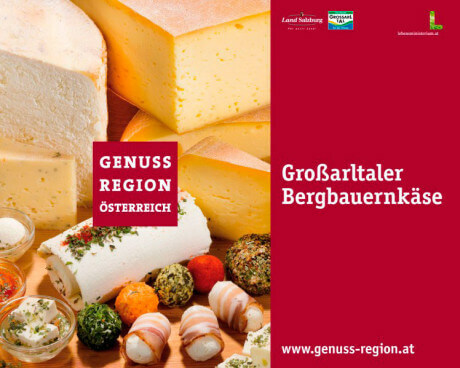 In 2014, we were named a “Genuss-Produzent,” literally translated to “enjoyment-producer” in English, because of our Großarltaler Bergbauer Cheese. The hearts of real cheese lovers beat faster up at our hut! Enjoy an assortment of cheeses, from cow’s and goat’s milk, atop freshly made dark bread with our very own alm butter – from hard cheeses to creamier cheeses and even to the traditional Großarler Sauerkäse – this is a cheese lover’s dream. Loosbühelalm is 1 of 4 GenussHütten or “enjoyment huts” in all of Salzburg. In addition to using our own local products to make our food, we also use products from other culinary regions in Austria: seasonal vegetables, potatoes and Sauwald Styrian horseradish for example. 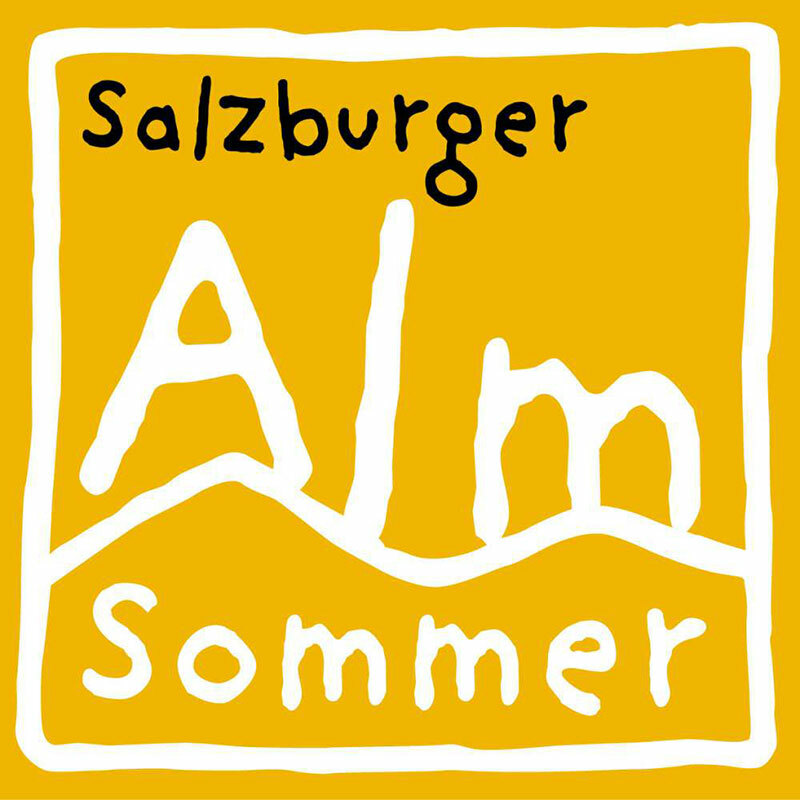 We are particularly proud of our Salzburger Almsommer (Alpine Summer) Award. Loosbühelalm was tested on criteria such as: origin, tradition, cuisine, hygiene as well as infrastructure. We received the certificate for fulfilling all of the requirements in 2006. The hut is located on the Salzburger Almenweg trail, which runs right through the Salzburg Region and is 350 km long.